In the world of chili peppers, sometimes the tiniest chilies pack some of the bigger punches. The rooster spur pepper fits this bill. It’s short, slim shape belies a cayenne pepper level spiciness. It’s one beauty of a pepper, too, growing upright in clusters, making it exceptional as an ornamental pepper. 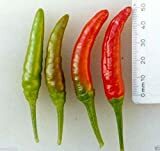 The rooster spur is an heirloom pepper popular in the Southern United States, though it’s grown around the world under different names: for instance Takanotsume (hawk claws) in Japan and Hahong Kocho (poinsettia pepper) in China. 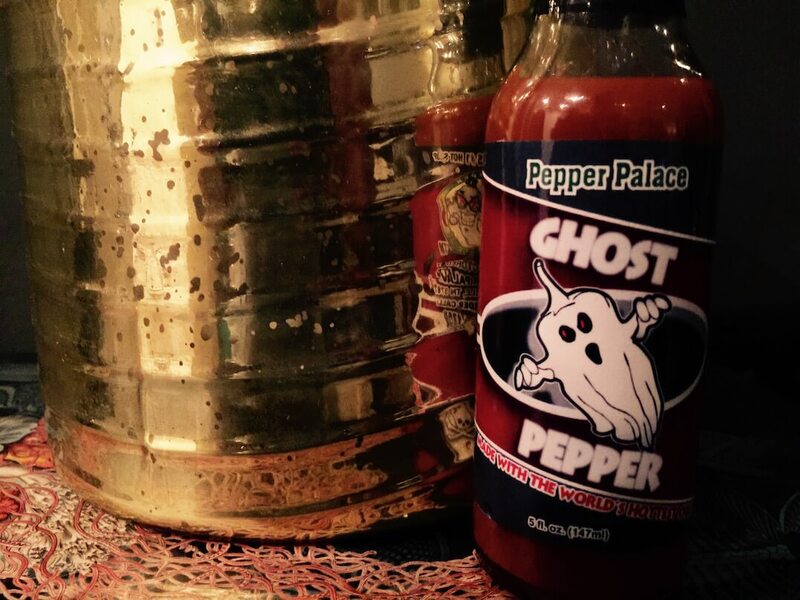 How hot is the rooster spur pepper? There’s a surprise factor here. These chilies may be small, but they have a sharp bight. At 30,000 to 50,000 Scoville heat units, the rooster spur is at the upper end of medium heat chilies, equal to the popular cayenne and tabasco peppers in spiciness. 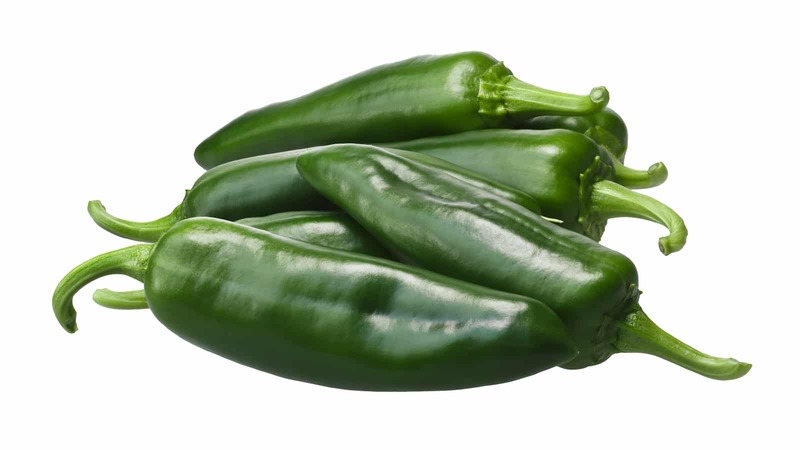 Against our jalapeño reference point, it’s four to twenty times hotter than a jalapeño pepper, depending on the peppers tested. 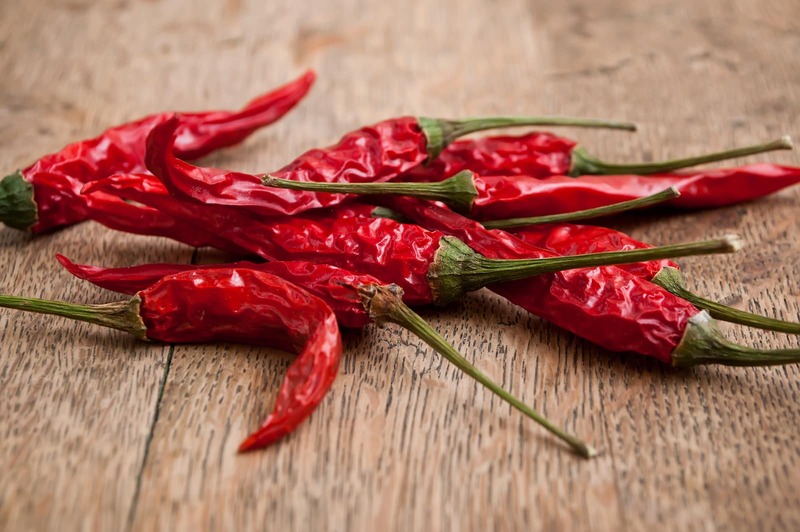 What does the rooster spur pepper look like and taste like? Let’s first discuss the individual pepper, then we’ll review the plant. A single pepper is small, slim, and curved – much like Thai peppers – growing no more than two inches in length and 1/4 of an inch wide. Its shape small, claw-like shape is how this chili gets its name. It looks much like a rooster spur – the slim, sharp growth on the inner leg of a rooster used to fend off predators and competitors. Though, it’s also easy to see how the Japanese landed on “hawk claws” for this chili (Takanotsume). The peppers age following a typical color pattern, from green to red – with one plant containing shades throughout the spectrum. The plant itself and how it grows takes this pepper’s individual look and creates something highly ornamental. Rooster spur pepper plants grow their fruits (and plenty of them) in thick clusters and the chilies reach upwards. The look is beautiful, and it’s easy to see why this plant is often sought for edible landscaping projects. It’s also easy to see where it’s other Asian name – poinsettia pepper (Hahong Kocho) comes from – it’s a colorful plant. 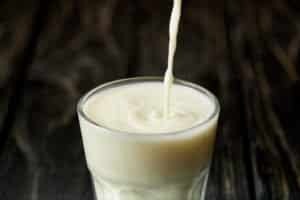 Flavor-wise, there’s a sharp quick bight here, with a fresh peppery flavor. 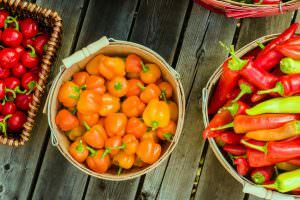 It has more flavor than other ornamental peppers (where often the taste is secondary to the look), so growing rooster spur peppers, whether in containers or in gardens, can really benefit both your yard and your kitchen. Historically, rooster spur peppers have a heritage of being the name-sake pepper behind rooster spur sausage. This is a sausage known in parts of the Southern United States made by the Ainsworth family in Mississippi (also the first growers of the rooster spur pepper). This isn’t an easy to discover dish, so don’t go searching for it at your local grocer. It gained some national notoriety in the late 1970s when then President Jimmy Carter, who was given some rooster spur sausage by his Attorney General Griffen Bell, sought more out (without a lot of success). The sausage’s (and the pepper’s) elusiveness became a national story. 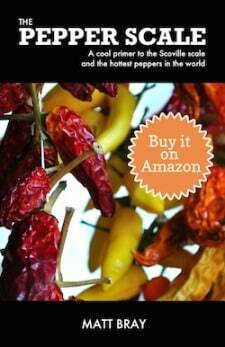 Think of using rooster spur peppers in similar fashion to Thai peppers. 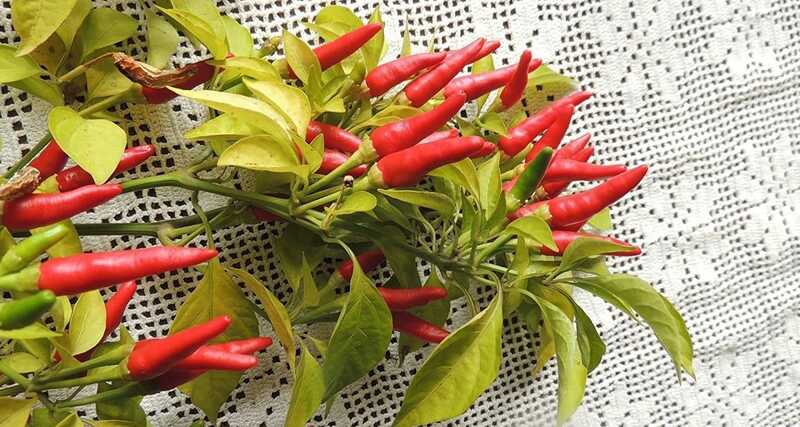 Their thin walls make these chilies perfect for drying for use in homemade chili pepper flakes and powders. Or chop them up fresh for use in salads, Asian dishes, and breakfast foods (they are delicious in eggs as well as sausage). And no surprise – Cajun food and rooster spur peppers work very well together, too. 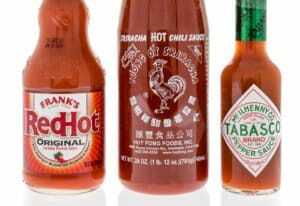 Try them instead of cayenne or tabasco peppers. There’s more heat here than most are comfortable with, so use sparingly. Where can you buy rooster spur peppers? These are not easy chilies got source. Your best option is to consider their use as an ornamental pepper and grow them yourself. Rooster spur pepper seeds are available online. 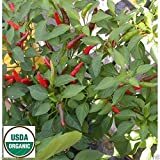 These chilies work just as well in containers as they do in gardens, so no matter your space you can experience this pepper, both its flavor and its beauty, yourself. Pepper, Rooster Spur (Capsicum Annuum) Organic- 10 Seeds - Mississippi Heirloom ! What's A Good Thai Chili Pepper Substitute?